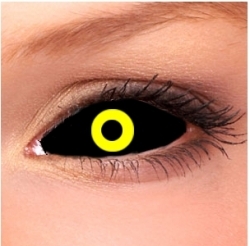 Sclera Contact Lenses have been exquisitely designed to make your upcoming Halloween party exceptionally entertaining and unique. Not only do they cover the whole eye but also give anyone who wears them a stunning and amazing look. 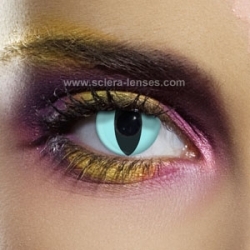 We offer a wide range of Sclera Contact Lenses at competitive prices for those crazy about Halloween. 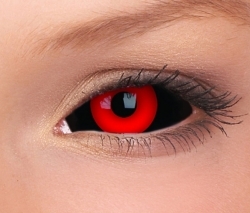 You can choose from our comfortable and user-friendly Black and Red Sclera Contacts or opt for the ones that cover the whole eye and go perfectly with your Halloween costumes, creating great effects. We are widely known for providing the best-quality Crazy Halloween Lenses that suit all tastes and preferences. As we work closely with the original Sclera Contacts producers, we make sure that the lenses we offer are the latest, the most popular and the most fashionable. When buying from us, you can choose Sclera Contact Lenses in many different colors, styles, designs and options. 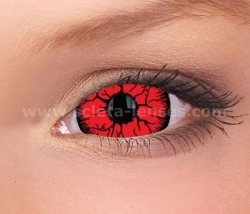 The centre of Red and Black Sclera Contacts is transparent, allowing those who wear them to see right through it. 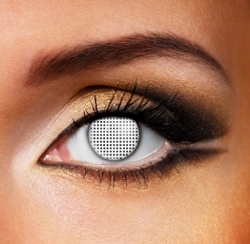 These contact lenses fit most eyes perfectly and enable wearers to make their presence felt at the forthcoming Halloween party. All Sclera Lenses and Crazy Lenses bear a CE marking and are ISO certified. It is recommended that you wear them for a maximum of 3 hours at a time. Be patient, though, as it might take some time for you to get used to putting your lenses in and removing them if you have never used contacts before. For details, see how to use Sclera Lenses below. 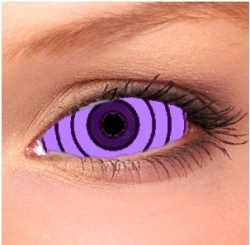 Crazy and Colored Contact Lenses are extremely popular. 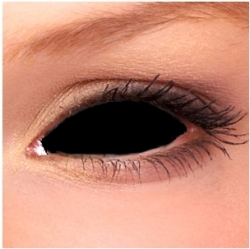 Sometimes, they are also called "Crazy Halloween Lenses” as many use them particularly on Halloween. 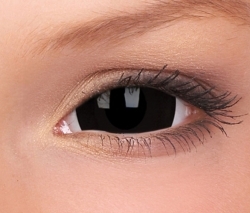 They are cheaper, more comfortable and can be worn much longer than Sclera Lenses. Do not hesitate to buy the cheap Crazy Lenses from first-rate suppliers here on our website. We offer Crazy and Colored Contact Lenses on a quarterly and yearly basis. Colored Contact Lenses are available in a wide range of models, colors and options. Our selection is created to suit everyone’s taste. Match the color of your eyes with your favorite clothes. Colored Contacts Lenses are simply in. The range of lenses we offer is constantly growing as we strive to provide you with the widest range possible to choose from. Most contacts are in stock and therefore will be sent to you no later than next working day. All our packages are shipped with a tracking number so that you can check your order status. All the relevant details can be found on your local post’s website. I want to send a question.